I have this on again, off again relationship with expectations, and the inconsistency is frustrating. At times I enter a cinematic experience with the perfect, measured mindset and it pays off in spades when I walk away from the film feeling far more impressed than I assumed I would. If I wasn't aware of the genre of the work or the general tone of its narrative, I would watch with a totally open mind and be willing to adapt to whatever is thrown my way. Then we have the opposite side of that coin, when I saunter into the room and expect nothing less than a total masterpiece despite not knowing a thing about the film, which is really strange when you think about it. Why do I assume this? Simply because it resides in the Criterion collection and has a cover image that screams "I'M BRILLIANT!"? Also based on the sliver of knowledge I have, I am anticipating something either darkly dramatic or cleverly comical and I only want a constant stream of one or another in that moment. I have had Closely Watched Trains queued up in my Hulu account for some time now and whenever I scrolled past it as an option, somewhere in my subconscious I assumed it was the type of film that would hammer its fists into my soul, a work of intense power and emotional resonance. Finally last night the mood felt just right for such a movie and I knew it was time. The problem is, Closely Watched Trains was NOTHING like I anticipated it to be. An antiwar film that is far more of a dry comedy than a dramatic punch to the gut, the setting is Czechoslovakia during the German occupation and the focus is centered around a young man named Milos who takes a job at a local train station, a signalman position that the community believes to be the traditional occupation of his family members to essentially avoid having to do hard work. I literally has to pause the film after a little bit to take a break, one of the mental variety in order to remind myself that the weird feeling of disappointment I already had hanging over the entire experience was not the fault of the film or its tone, but rather it was mine for allowing falsely created expectations to make or break a piece of cinema deemed important by many others. So with a clear mind and fresh perspective, I sat back down knowing what I was getting into this time and started it over from the beginning, and you know what? Closely Watched Trains is a pretty damn good film. Still, being honest, the concept of using the struggle of young Milos with sexual impotence as a bigger picture political allegory didn't quite click with me, but I was thrilled that the entire picture didn't tumble down a path of silly absurdity but rather it hit some pretty intense, dramatic moments with force to keep my mind invested in the story. 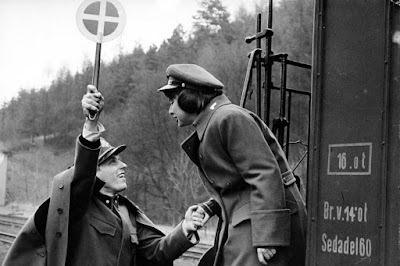 Also, while the tone at times felt off to me and the primary metaphor of Closely Watched Trains may have slightly missed the mark when viewed through my personal lens, I can't help but admire the fact that director Jiri Menzel tried and for many succeeded. It was a bold and fascinating move, to tie the way an entire country feels when being occupied by an enemy to a young man lacking the ability to achieve sexual satisfaction. A good film that fell short of greatness, but I'm still proud of myself of recognizing my mistake and starting the film over with a more measured mentality. 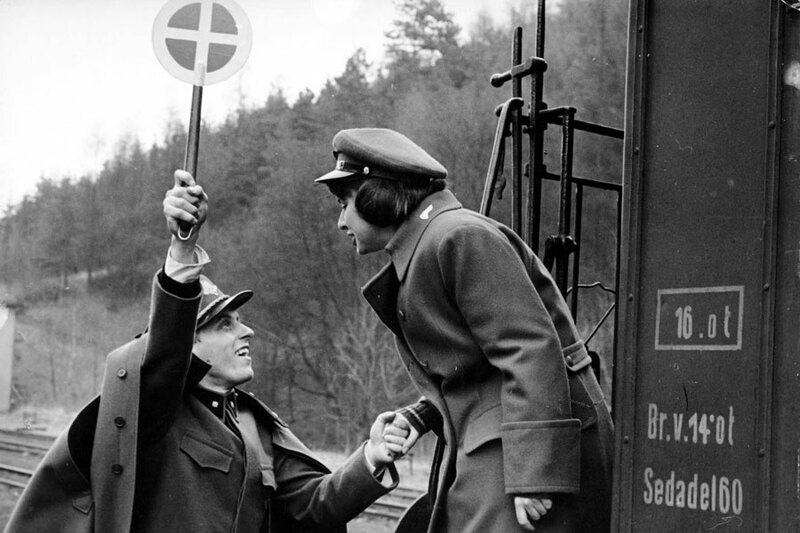 In the past I would have struggled with the work in one sitting and blamed the film for being silly, when in reality it was my own lack of experience with the Czech New Wave movement that plagued me well before I even pressed play.